በሌላም በኩል የመሥራቾች ቃለ ጉባኤ መቅረብ አለበት ይላል፡፡ እኛ የነማንን ቃለ ጉባኤ ነው የምናቀርበው? የሐዋርያትን ነው ወይስ የሠለስቱ ምዕትን? የኢትዮጵያዊውን ጃንደረባ ነው ወይስ የአብርሃ አጽብሐን፣ የተሰዓቱ ቅዱሳንን ነው ወይስ የአቡነ ሰላማ ከሣቴ ብርሃንን? ለ/ ቅርንጫፍ መክፈትን በተመለከተው በዐንቀጽ 14 ላይ ስለተከፈቱት ቅርንጫፎች አድራሻና አመራሮች በ30 ቀናት ውስጥ ለሚኒስቴር መሥሪያ ቤቱ ማሳወቅ ይገባል ይላል፡፡ የኢትዮጵያ ቤተ ክርስቲያን የ35ሺ አጥቢያዎቿን የሰበካ ጉባኤያት፣ የ110 ገዳማቷን አበምኔቶችና ምርፋቆች፣ ከስድሳ የሚበልጡትን አህጉረ ስብከቶችን ሥራ አስኪያጆች የመመሪያ ኃላፊዎች ሁሉ ታስመዘግባለች ማለት ነው? ሐ/ በዐንቀጽ 23 ላይ ማንኛውም የእምነት ተቋም የተመረጡ መሪዎችና የሥራ ኃላፊዎችን ከዓመታዊ ሪፖርቱ ጋር ማቅረብ እንዳለበት ይደነግጋል፡፡ ለመሆኑ ከቤተ ክርስቲያን አንፃር ‹የሥራ ኃላፊ› የሚለው ምን ማለት ነው? ክህነታዊ ኃላፊነትን ነው ወይስ አስተዳደራዊ ኃላፊነትን? ታድያ ጳጳስ ስትሾም፣ ካህን ስትሾም ቆሞስ ስትሾም፣ ዲያቆን ስትሾም፣ ንፍቅ ዲያቆን ስትሾም፣ አናጉንስጢስና አንባቢ ስትሾም ማሳወቅ ሊኖርባት ነው ማለት ነው? ለመሆኑስ በእነዚህ ላይ መወሰን ያለበት የፌድራል ጉዳዮች ሚኒስቴር ነው ወይስ መንፈስ ቅዱስ? ለመሆኑ ዝርዝሩን ከተቀበለ በኋላ የሚኒስቴር መሥሪያ ቤቱ ባይስማማ ጳጳሱ ከጵጵስናው፣ ካህኑ ከክህነቱ ይሻራል ማለት ነው? መ/ በዐንቀጽ 27 ላይ እንደ አስፈላጊነቱ የምዝገባና የተሰጠውን ሕጋዊ ሰውነት ፈቃድ ሊያግድ ወይም ሊሠርዝ ይችላል ይላል፡፡ ይህ ከሆነ ደግሞ ያ የእምነት ተቋም አገልግሎቱን መስጠት አይችልም ማለት ነው፡፡ ስለዚህ አንድ የጠቅላይ ቤተ ክህነት መምሪያ ሰነድ አሟልቶ፣ ጊዜ ጠብቆ ፈቃዱን ሳያድስ ቢቀር ቅዳሴ ይቆማል፣ ሰዓታት ይታገዳል፣ ጾም ይቋረጣል፣ ክርስትና ይቀራል፣ ተክሊል አይኖርም፣ ፍትሐት አይደረግም፣ ገዳማት ይዘጋሉ፣ አጥቢያዎች ይታጎላሉ ማለት ነው? በዮዲትና በግራኝ፣ በጣልያንና በደርቡሽ የመከራ ዘመን ያልተቋረጠው፣ እግዜር የለም ባለው የደርግ ዘመን እንኳን ያልቆመ ውዳሴና ቅዳሴ፣ ሰዓታትና ማኅሌት፣ ፍትሐትና፣ ክርስትና በአንድ ሰርተፊኬት እጥረት ይታገዳል ማለት ነው? ታድያ ይሀ የእምነት ነጻነት ነው ተብሎ ሊነገርለት ይችላል? This time around during the lent season, while traveling in mini-bus taxis, having coffee at a café, or wandering around the churches one can hear the deep-sonorous voice. Ten strings hanging from a short bar at the top joined by two parallel sticks and a leather-made sound-box at the bottom are the parts of this very ancient and biblically played instrument called the Begena (an instrument that belongs to the family of the lyre.) 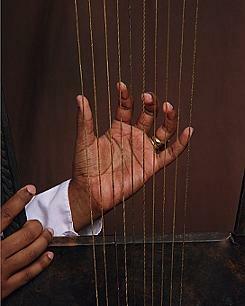 Begena, which is also named as the Harp of King David, has distinguishing features that differentiate it from the harp. The number of strings, the construction of the wooden frame in which the strings are coiled and the way the musicians handle it to play are the visible differences that anyone can point out. It is a kind of psaltery that dates back some five thousands years roughly estimated to be some 3,800 years before the birth of Christ. Ethiopians were introduced to such a sensuous and spiritually powerful musical instrument through either of the two commonly cited ways. The first, that makes its argument depending on the analogy of Ethiopia’s archaeological evidences that puts it as the origin of human beings, and the second relies on the historical travel that the Queen Sheba made to King Solomon of Israel. 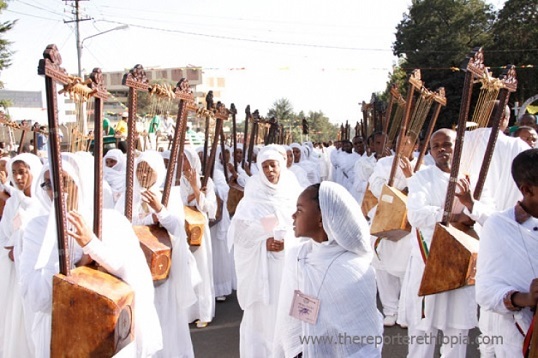 Whatever the way to be introduced to the instrument, it at once became the most prestigious Ethiopian traditional musical instrument. Nevertheless, it has never come on the way it could be played together with others to perform a secular music because of the profound and rigorous relation it has with religion. It was first played in the palaces to enchant the kings and queens and also at ceremonious events inside churches and outside the churches like on weddings based on biblical and historical accounts. Although a number of Ethiopians were playing it, including the kings and the queens, there were a few who became popular enough playing it on media and public gatherings. It was during the reign of Haileselassie I that the first preceptor, Aleka Tessema Woldeamanuel was called to the capital to teach at the Entoto Secondary School. The then 12-year-old Alemu Aga became one of the first boys who stepped into the classroom. Alemu, who is well acclaimed for playing the begena and of course enjoys much reverence, has been the most important musician to play the instrument. He has played a large repertoire of ecclesiastical songs with it and trained more than 600 students. 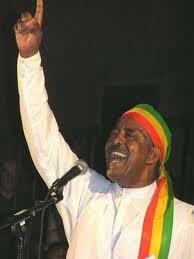 Moreover, he has become very popular in the international arena playing the begena. He has had many opportunities to play it oversees, still having several concerts every year. Today, Alemu is 62 years old and says that he is in absolute amazement of how happy and successful he has managed to become through his music. Now, he is someone who can teach, play and research. “I was trained only because my parents wanted me to grow up learning religious practices, and it has influenced me much further, I couldn’t lead my life without it,” he told The Reporter. The 8th London African Music Festival, World Harp Congress, International Council for Traditional music and Festival De Mosique Des Montagness Du Monde are some of the events he has attended so far. Éthiopiques Vol. 11, recorded by Buda Musique of Francis Falceto’s featured him exclusively. Other music producers in Europe also recorded his songs with other fellow musicians. Alemu sees himself lucky enough that he could always be remembered with begena, but there were other famous begena players before Alemu. The late Demissie Desta for example, who is often seen as a pioneer for playing begena in the emperor’s palace. Begena, which is often listened to during the lent fasting season of the Ethiopian Orthodox Tewahdo Church, is almost never heard during other times. Due to its tremendous power and spiritual connectivity, it has always been preferred to be listened in the sacred days of dedication that connect the faithful with the Lord. The vibration of the paired strings produce a sound that deeply connects with the audience. 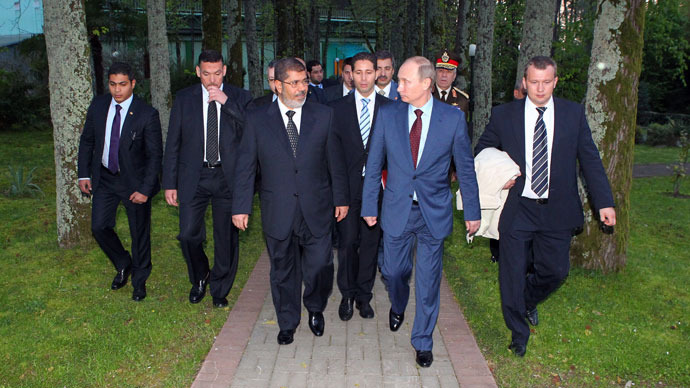 Eventually, they will start to react calmly to the sound produced by the begena. According to many, the instrument has the power to calm people from stress. This is of course reveled in the Bible that the King Saul was elated by the play whenever the young David played it. According to some researchers who visited Alemu, the single string can vibrate a thousand times within a second. Vibration therefore remains a particular character of the begena. Stephanie Feser (Ph.D.) an ethnomusicologist from Belgium was one of the visitors who conducted research with him for her dissertation for two years. At the time of the Emperor during lent, even the state broadcaster and music shop around town played begena compositions rather than other secular songs. “There is no rule or principle that bans the begena from being played outside of the fasting seasons” Alemu says. There were attempts made by some artists to play the begena at other times than the fasting seasons, they further went on orchestrating it with other traditional musical instruments on stage; it, however, failed, since the public did not accept it. “The people didn’t want to listen to the begena outside of the fasting season and it didn’t have any harmony with the mixing of the orchestration either,” he says. The deep sound it produces and the vibration it releases cannot be harmonized with others musical instruments easily. The begena is mostly associated with men because many believe that the instrument mostly produces shallow and thunder like sounds, which goes in line with the natural voice color of men. But nowadays women are playing the begena, and playing it perfectly. Empress Tayitu was one of the first women who played it wonderfully. Now, many young women, particularly in the church are playing it. One of those vibrant begena players is Genet Alemayehu. She has played it for seven years now starting it in her youth. Inspired by male players she often observed in the church and later became well aware of some women who played, including the Empress. What she feels is the euphoria that takes her into the kingdom of her Lord. An accountant by training and a begena teacher at Gorgorios Spiritual School, the only school where begena is taught, she feels that there will be more enrollments of young women who want to study the begena. She argues that what many feel about the traditional connection between the instrument and men does not mean that naturally, women cannot play it, since it can be played through a medium or low scale. “The begena can be adjusted according to the kind of voice one can produce, and it can be played in different styles unlike that of the men’s,” she told The Reporter. Kinfu Weldegebriel is one of the million Ethiopians who adores the sound of the begena and always listens to it during the time of prayer and fasting. He plays it in his car in the morning and in the evening. He never listens to other music. He does not even turn the radio on. “This is the time that attracts me to my faith. The begena is something that makes me fell jovial when the fasting season is remembered,” he says. Like many others, he does not have any trend that influences him to listen to it unless it is fasting season. He doesn’t even think of it at other times, but the very first thing he does when the fasting season approaches is purchase a begena tape or disk. In fact this is not a trend that Kinfu does alone, it seems to be a culture amongst many Orthodox Christians. Because of this religious tendency that makes the connection between the begena and Orthodox Christian fasting, most Muslims have never thought that they could listen to it like other traditional music. Murad Ahmed, spare parts retailer, says that it is only because of such thinking that many Muslims refrain from listening to it, likewise most Christians don’t listen to Menzuma, a religious music that often comes along with the fasting season of Ramadan. “Still I think it does not matter if we listen to it as traditional music,” he says. What remains so contentious about its purpose as a traditional musical instrument is whether or not it could be used together with other instruments to compose songs. However for many, it seems unrealistic, considering there have been many failed attempts to prove it. Source- The Reporter English Edition. ሮም ለግራዝያኒ ሐውልት የተሰጠው ገንዘብ ታገደ! በእንደዚህ አይነት የተጀመረው የ አባይ ጉዳይ ይሄው ኢህአዲግ እስካሁን ድረስ እንደማስይሳካ እያወቀ በባህር ማዶ የሚኖሩ ተቃዋሚዎች እና የሀገራቸው ጉዳይ የእግር እሳት የሆነባቸውን ኢትዮጵያውይንን መተንኮሻ አድርጎ ይጠቀምበታል።በነገራችን ላይ ይሄው ተመሳሳይ መርሃግብር በኦስሎ ለ አፕሪል 23/2013 መርሃግብር መያዙን ከአምባሲው ድህረገፅ ላይ የተለጠፈው ማስታወቂያ ያስነብባል። ሃገራዊ ህብረት ሳይፈጠር፣ዜጎች ከአንድ ክልል ወደ አንድክልል ካልፈቃድ ለምን ገባችሁ ተብለው እየታሰሩ(የሰማያዊ ፓርቲ አመራሮች በ ቤንሻንጉል ክልል ለመታሰር ያበቃቸው)፣ በሺዎች መሬት እና ንብረታቸውን ተነጥቀው ሲንከራተቱ አንዳች ያልተናገረው መንግስት ይህም ከፍተኛ ተቃውሞ በኢትዮጵያውያን ዘንድ በፈጠረበት በእዚህ ጊዜ ስለ አባይ ግድብ ቦንድ ግዙ ብሎ መጠየቅን ምን ስም እንስጠው?